It's true, it's really, really true. Brisbane Bookshop Where the Wild Things Are will be doing an event with me on 28 February at 6:30pm. If you live in the area and want to get your book signed, tickets are available here. I would love to see you. The Call is getting a sequel and by then I'll be allowed to talk about it. I also have the honour of visiting St. Rita's school, where I'll be taking part in their Read Like a Girl initiative. I can't wait! There'll be other events in Australia -- most notably The Perth Writers Festival, without whose invitation and generosity, I'd never have been able to cross half the world. I am hugely grateful to them. I'll be putting up more details about the festival and other author visits as they come in. Ah, my dear little friends. It is not my intention to program you -- to flick through the many crevices of your brains with my grease-spotted fingers. But let me subtly suggest that you buy The Call for your loved ones this Christmas? There are other fine books out there, of course, and I have been reading some of them. Right now, waiting patiently for me to finish this post, is Cathy O'Neil's Weapons of Math Destruction. The author investigates how our blind trust of mathematical formulae has created a self-sustaining vortex of stupidity that wreaks havoc on our society. It's not as mind-altering as Nassim Taleb's Black Swan so far, but I'm really enjoying it all the same. In the meantime, Netflix bought The Expanse, so I finally had a chance to watch the first season. I enjoyed it a lot, although I seem to remember the first book of the series ending with more of a bang. Perhaps not. It's been a while. Good things continue to happen to The Call. New York Public Libraries have chosen it as one of their recommended books for teens for 2016. Another fantastic list from the other end of the US, Texas Tayshas, has put it down as one of their 2017 books to look out for. So, all excellent news! Meanwhile, in the UK, the Literary Review said I was a "powerful writer" and that The Call was "riveting". Can't complain about that! Yes, I've been to the States. Some of them anyway -- New Jersey, Pennsylvania, The Disctrict of Columbia (I know, I know), Georgia. That kind of thing. I posted no schedule of where I would be going; made no fuss on the internet and saw no non-publishing friends. I'm sorry about that -- the timetable, quite properly, wasn't in my control. On the other hand, it was the most amazing and delightful of trips with the best of all companions, as well as brilliant, witty, and kind organisers. I signed stock in bookshops in Philadelphia, Washington DC and Decatur. I had astonishing vegan food and can highly recommend the following restaurants: "Charlie was a Sinner" in Philly, "Busboys and Poets" in DC, "Herban Fix" in Atlanta. 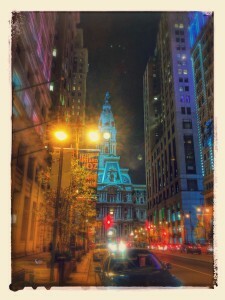 Almost every night included an opportunity to meet with booksellers, librarians and media. They smiled, they were open to chatting about pretty much anything at all and I felt... cherished. I took part in a panel of writers in The Little Shop of Stories in Decatur. It was packed to the rafters with fans of the other authors -- Maggie Steifvater, Rachel Cohen, David Levithan and Bill Konigsberg. I was hugely, hugely lucky to hang out with such superstars, even if it was only a way to throw their genius into relief. But the aim of the trip, indeed the whole point of it, was to attend a double whammy of English teacher conferences taking place in Atlanta, Georgia. I loved it and was a little jealous of the Scholastic folks working in the exhibition hall. We mingled with teachers and librarians. We writers performed scenes from our novels. I watched Maggie Stiefvater give a brilliant, elegant, personal address, and signed at least 50 books for enthusiastic educators. Hope you all had a great few weeks! Well, this is a fabulous day! 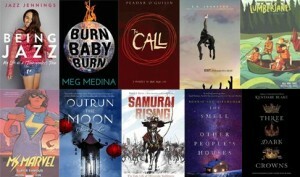 I've spent the week meeting amazing booksellers and librarians and teachers from the United States, but while my back was turned, their UK colleagues added The Call to their shortlist for The Leeds Book Awards. I'm so happy, I might even abandon my authorial dignity to dance around in a public place (Venue TBD). Also on the list, is my friend, Liz Flanagan, author of the wonderful Eden Summer, and the great Sarah Pinborough, who wrote one of my favourite reads of last year, The Death House. Perth Writers Festival -- I'm going to Australia! And after? Straight home again for young Peadar? How much do I love you, dear internet? I haven't been able to read as much as I would like. The TBR pile has grown and many of its longest suffering members were written by people I admire or care for. It's just not right to let them suffer like that. It's not. I came late to The Night Of, the story of a young man brought to trial for a murder he probably didn't commit, despite the mountain of evidence pointing to his guilt. My brief description makes it sound like every other courtroom drama you've ever heard of, and it is. Except... except it's brilliant. Do yourself a favour and watch it. I'm also four episodes into Westworld and really enjoying it. It's the story of a futuristic Wild West theme park populated with uncannily human robots. Let's see if the plot and characters can keep my attention for the rest of the run. Other than that, I'm looking forward to the new series of Black Mirror, and, now that Netflix have bought it, I'll finally get to see The Expanse. How about you? Anything good in your eyeballs lately? I'm itching to do some bragging, so, let's just get it over with. 1) Lovely little review of The Call in British newspaper "i". They said, among other things that it was "a fabulous book". Hurray! 3) Scholastic sent me a copy of the US Entertainment Weekly magazine that has a full-page ad for The Call in it. Wow. When this is all over, I won't be able to complain that my publishers never did anything for me. I hope everybody is well! I'll write about my current reading soon. Just trying to catch up a bit. If you're reading this, the chances are you already know me and the last thing you want is to run into me in London. Well, if you live in the UK's capital, it's time to find an excuse to get out of it, because I will be visiting the Piccadilly branch of Waterstones on the last evening of September. "Join us for an evening of fascinating tales and fantastical worlds, as authors Peadar O’Guilin and Laure Eve discuss how traditional myths and folklore create hypnotic and engaging worlds in YA fiction. The event will be chaired by Waterstones Piccadilly favourite Katherine Webber." Tickets are £3 -- that's you paying us, not the other way around! My reading has crawled almost to a halt lately, mostly for reasons I can't discuss here. But a few stories have sneaked their way into my eyeballs. First up, is The Graces by Laure Eve, who, you may have noticed will be appearing with me at the London event above. It's a beautifully written tale of subtle witchcraft and obsession. Looking forward to the sequel. And speaking of sequels, I've started The Obelisk Gate, N.K. Jemisin's follow-up to last year's brilliant The Fifth Season. I'm crawling through it, due to... stuff, but it's great so far. 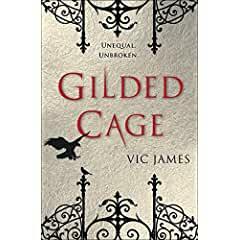 Finally, for my future reading pleasure, I have scored an ARC of Vic James's The Gilded Cage, which has people over on Goodreads raving about it. I look forward to raving a bit myself. Lots of great reviews continue to pour in about The Call. Here's a new one on the femminist website Etym. Looks good to me! And then, it just ends. Why, this morning, I had to queue up for coffee -- me! Like a normal person. The humiliations have only continued since then, I can tell you. I'm expected to pay my own tab and nobody has washed socks in this house for days and days. So, I guess, I'd better return to my usual blog posts. I always like collecting books by people I've met and I'm building up quite a stack of them! Probably time to play jenga with it. First up was Jo Zebedees, engaging and swiftly-moving Inish Carraig. It's great fun and why wouldn't it be, with alien invasions and a mysterious new prison for those who get on the wrong side of our new masters? Poor John Dray! He gets a rather closer look at what's going on inside than anyone would want... You can find it here. I've also started the BwB's very own J.R. Johansson's Cut Me Free. I'm really only at the start of it, but even here, to tell you anything of the plot would be to shower you with spoilers. But basically, a girl fleeing horrific abuse, needs to overcome her own PTSD in order to save somebody else. So far, it's very intriguing. I know I saw something incredible recently, but I'm too shell-shocked by my return to normality to say what it is. What I do know, is that Narcos has returned to Netflix and I welcome it with great joy. Only two episodes in, it still makes for great TV. Let's see what happens next! Well, I will give you one more piece of news related to The Call. In case you didn't already see it, I have an interview up today on Sci-Fi Bulletin. If you want the answer to such questions as why I wrote the book in the present tense, well, here you go! Meet Me on #SundayYA -- Sunday 3rd September -- Tomorrow at 6pm BST! 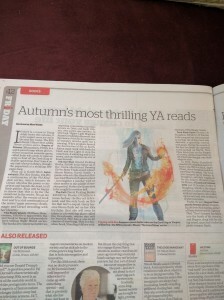 I have the honour of being a guest on #SundayYA tomorrow, 3 September, 6pm BST (Ireland/UK). Tune in your twitter machines and join the discussion!